If you want to check your credit score out of charge, do not look for more, than three sites. Credit Karma is the most widespread credit score checker. However, it does not make sites like CreditKarma worse. WalletHub, Experian and CreditSesame offer free score as well. They provide with similar services, but each web page has is peculiarities and perks like no other. Before diving into the analysis, realize one thing: the credit score you obtain from credit score providers is not based on the official FICO scoring model. The credit score generated by sites like Credit Karma and Credit Sesame is based on models created by the credit reporting companies. Yet, these scores are quite similar to the FICO one. The main advantage of these services is that they may improve your credit score for free. Bearing this information in mind, let us review Credit Sesame, Credit Karma, Experian and WalletHub in detail. Credit Karma is a monitoring service. It simplifies the access to the score and reports whenever you want. It does not only estimate your credit score free of costs but also provides you with automatic email alerts, when essential changes happen and protect your personal data from thefts. Its main benefit is monitoring the credit score basing on two credit reports – Equifax and TransUnion. Other credit sites make their predictions basing on 1 credit report. The scoring model is sealed. Another basic virtue Credit Karma proposes to its clients is a free credit stimulator. This simulator takes into consideration all the up-to-date credit information and predicts the result of any move you can make. What if you failed to make a repayment in time or increased your credit card debt? This simulator helps you realize what financial decisions have the largest influence on your credit score. This is the perfect tool for those, who want to erase all the mistakes of the past and increase their credit score in the future. Let’s say you need to know what is the average credit score to buy a house. These tools will definitely help! 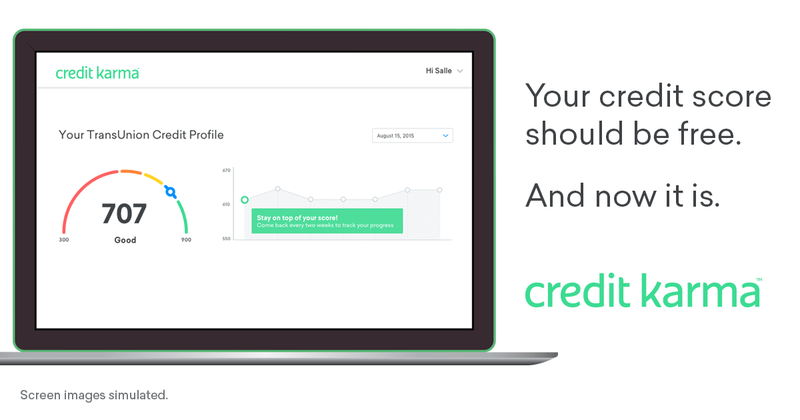 CreditSesame.com monitors your credit for free the same way as other web sites like Credit Karma do. You are not required to connect your credit card to it as well. Together with the other Credit Karma like sites, this one takes your information from one monitoring service. 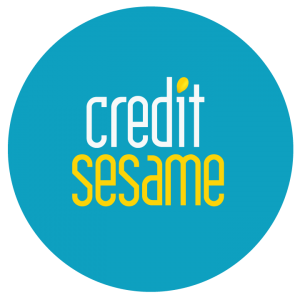 Credit Sesame uses TransUnion credit file, and VantageScore 3.0. An interface of Credit Sesame shows your current score and reasons why it is like it is. Alerts signalize you when the score changes. This feature makes Credit Sesame similar to Credit Karma. 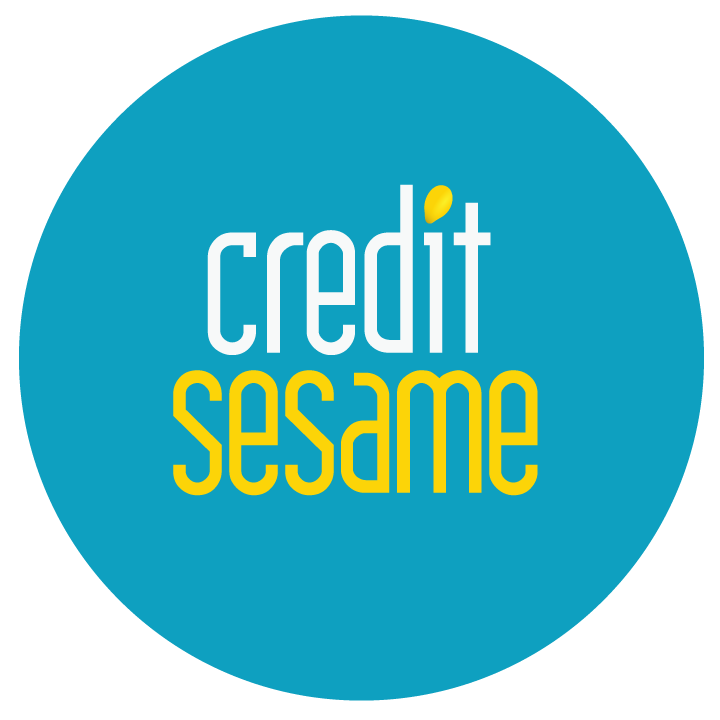 Mobile version – Credit Sesame created a mobile app. It makes all the tools on the web page available on your mobile device (both Android and iPhone versions are available). The Best Rates – Credit Sesame will assist when looking for the most profitable rates on all the loan and insurance types. Identity theft protection – after you sign up on the web page, you receive identity theft insurance worth $50, 000. Assistance in case of fraud is provided as well. You are likely to find this company link in the Google search results if you ask for a free credit score report and it is already known as one of the three major credit reporting bureaus in the USA. The company is focused on business lines such as credit services, marketing services, decision analytics as well as consumer services. Unlike other services presented here this service is paid – it will cost you $4.99 for the first month for a credit score and $24.99 every new month. But it offers a new free credit report every 30 days on sign in. It is easy to get puzzled because of the various packages offered. However, the customers have a chance to get a full credit report from Experian and the option to also purchase full reports from the three major credit bureaus – Equifax, and TransUnion Credit Reports as well as FICO Scores. WalletHub proposes credit scores and reports free of charge, too. Its estimations are based on TransUnion credit report. They also provide you the information and advice on how to understand and increase your credit. The alerts feature is available as well. 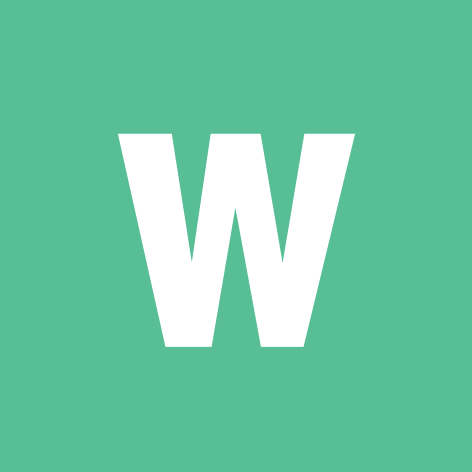 The WalletHub differs from other sites like Credit Karma by its working hours – 24 hours per week. If some emergency happens, it will help you act quickly. WalletHub presents a visual breakdown of your credit timeline and each account on your report, too. WalletHub is the only free monitoring credit service that updates the information on a daily basis and gives a clear action plan. Its round-the-clock service will quickly inform you via SMS in case of credit-report changes and will begin solving issues before they spin out of control. Credit Karma is based on two various credit reports – Equifax and TransUnion. The other two credit sites like Credit Karma use only one. WalletHub works round the clock. Credit Sesame presents identity theft insurance worth $50, 000. Experian is offering Identity Theft Protection package that detect any fraudulent attempts with your data and Social Security Number. However, you do not have to select the only credit monitoring service. If you want to use each of the above perks, sign up for each. P.S. : Does Checking Credit Score Lower It?